Alright, alright, so I’m not the biggest sports buff, but every year I get a first-hand look at the wild animal we call the “Die-Hard Fan”. Wives, family, and friends know what behaviors begin to take control as they retreat to their natural habitat when the playoffs approach. For anyone who’s not familiar with this species, there are certain signs to watch out for to catch a die-hard fan out in the open. One surefire way to recognize a wild DHF is by studying the patterns on their fur. The fur’s texture is unlike another other animal, the best way to describe it is jeans and a jersey, most likely belonging to their favorite player. They’ll have several jerseys, as well as t-shirts, so they can shed their skin exposing a different one every day during the playoffs. As they add more of their team’s gear, it might almost look as though they’re wearing football costumes. 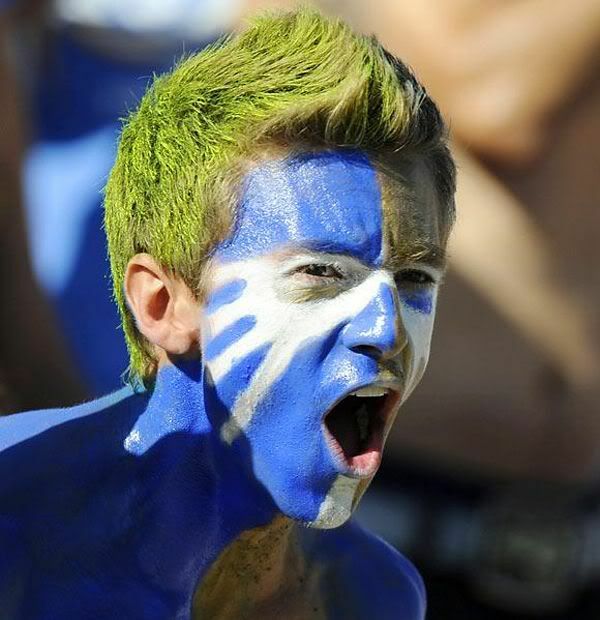 Die-hard fans may also have one outfit that they’ll wear every Sunday as a ritual when they prepare to watch the games. 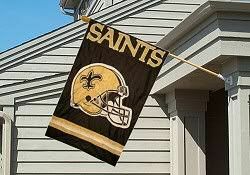 Another way to spot a die-hard football fan is to drive by their house, carefully, some can be territorial in the wild. There will be banners and flags hanging near the front entrance of the cave to displaying their favorite team. There may even be other items sporting the team’s colors around the cave like a trophy case with team memorabilia. The collection may include bobble heads, footballs with team logos, and even autographed footballs if the fan was lucky enough to acquire one. Look for the markings of the beast, their skin changes color like a chameleon with their team colors! They’ll be carrying signs decorated with the team name and colors. 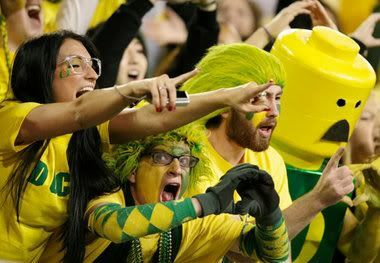 Their hands morph into large fuzzy “number one” fingers, and banners. They won't stop howling encouraging thoughts to their team and growling put downs to the opponents. 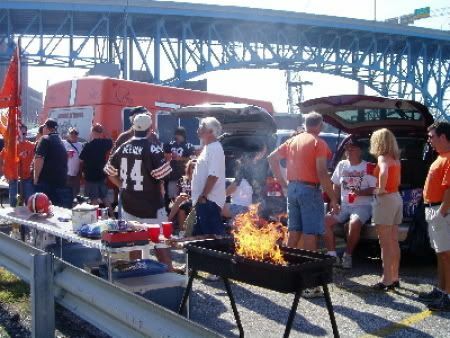 A ritual passed down from ancestors can be seen in parking lots before the game and is known among them as Tailgating. Contrary to popular belief, these “tailgaters” are not descendents of the Alligator, nor do they have tails. Similar to cave men they will be cooking on fire grills prominently displayed on small tables or the hatch of their car. Hot dogs, hamburgers, and bbq feeds their carnivore instincts. When the game is over, these fans may try to run down to the tunnels to cheer the players on as they walk off the field, especially if the team played a good game. A die-hard fan can be house trained, but please do not attempt to do so without consulting a professional. Their behavior can be unpredictable to someone without a trained eye. Please contact a local DHF behaviorist who has thoroughly studied this species. If, on the other hand, you are interested in joining their pack, start to read up on football stats and start watching games. Join in on conversations that are taking place all over town to learn the language or find yourself a mentor who will teach you their ways. I do Love football season!